Has anyone converted their electric golf cart lead acid batteries to Lithium ion batteries. If so, did you think the improvement in performance, ease of maintenance and longevity to be enough to justify the increased cost? Great Question. Hope someone can answer it. Remember to include the cost of a new charger, as a charger for lead acid batteries is NOT suitable for Lithium Ion batteries. I would consider lithium batteries if I was buying a new cart. But remember the skate board fires caused by the lithium batteries. I use very small hobby lithium batteries and I keep them in a fire proof box for storage and when charging. I think these type batteries are the way electrical vehicles will go so just be sure safety is considered. By the way I also keep the batteries out side of my house and where if they caught on fire they would do minimal damage. Cellphones have lithium-ion batteries. Virtually all electric cars and hybrids have lithium-ion batteries. My weed wacker has a lithium-ion battery. They are ubiquitous. Lithium Ion conversion its are available. Do it your selfers have been doing it for years. All your concerns are well founded, but when you get into the big lithium applications you have to have a battery management system. This will shut down what is being powered by these batteries to prevent battery damage and fires. Most of the conversions Ive seen have been with cheap china lithium batteries to make it a practical swap, other wise it can be very expensive. Good lithium is coming, but Ive been saying that for 10 years now. A company called Lithium Boost told me that to convert my cart which has 8 six volt batteries, if I did it myself, would be a total of $3100. They are good for 2000 charge/discharge cycles as opposed to 4-500 for lead acid. They are maintenance free, weigh 90 lbs vs. 4-500 lbs, charge in half the time, have increase range, etc. The design of an electric golf cart takes into consideration the weight and location of the batteries. Remove 400+ lbs of batteries from the "center of gravity" of your electric cart that wasn't designed that way could easily lead to a tip-over. That being said, "ATOMIC" sells 2 carts, The ZIP and The ZIPPER, designed with LI's from the ground up. You'll see them "zipping" around TV in ever increasing volume. I should have mine tomorrow. "The Zipper" is the yellow one. The "ZIP" is the same but smaller with only a front seat. They come from the factory with LI's designed from the ground up. 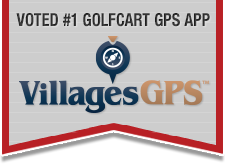 OK, I did have my 2014 electric cart converted from lead acid to lithium by AGC, Advantage Golf Cars, when they were located in The Villages. They have since moved to Ocala. It was expensive and, over time, did not meet our expectations. The setup: 10 Lithium batteries, all with their own charger and a management controller. Pros: Less weight, better range per charge. Cons: over a 2 year period, 3 batteries and 5 chargers had to be replaced. Over a 2 month period this year, the cart was in for service 5 times, and while the battery and chargers were replaced under warranty, the cost to transport to Ocala was not. The system also caused us to go through 2 solenoids in a 2 year period. The Bottom Line: IMHO, I would not have this done as a conversion on an existing cart. A new cart that comes from the manufacture that is already setup with a Lithium system (like the new Atomic carts) might be a much better choice. BTW, traded that cart in at Carts and Clubs for a 2018 Yamaha EFI quiet tech gas cart.